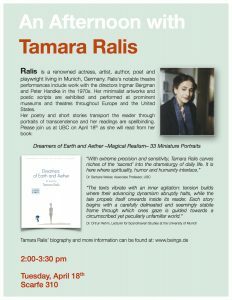 Please join us on April 18th as we welcome visiting actress, artist, author, poet and playwright Tamara Ralis from Munich, Germany. Her minimalist artworks and poetic scripts are exhibited and performed at prominent museums and theatres throughout Europe and the United States. Her poetry and short stories transport the reader through portraits of transcendence and her readings are spellbinding. 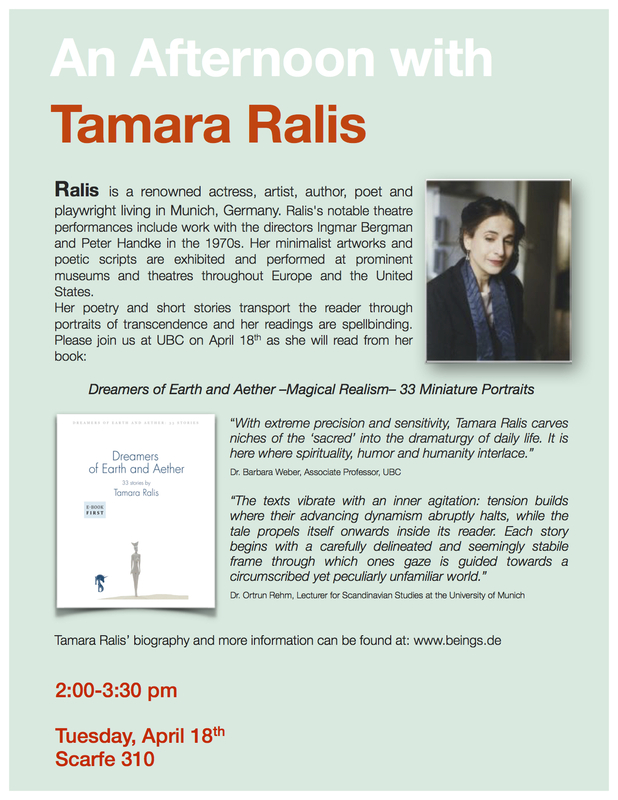 On April 18th, Tamra will read from her book: Dreamers of Earth and Aether –Magical Realism– 33 Miniature Portraits followed by engaging us in a dialogue and answering of questions.